On a Sunday afternoon, when the weather outside is miserable and wet, you just want to snuggle up and get cosy in the warmth of your home. 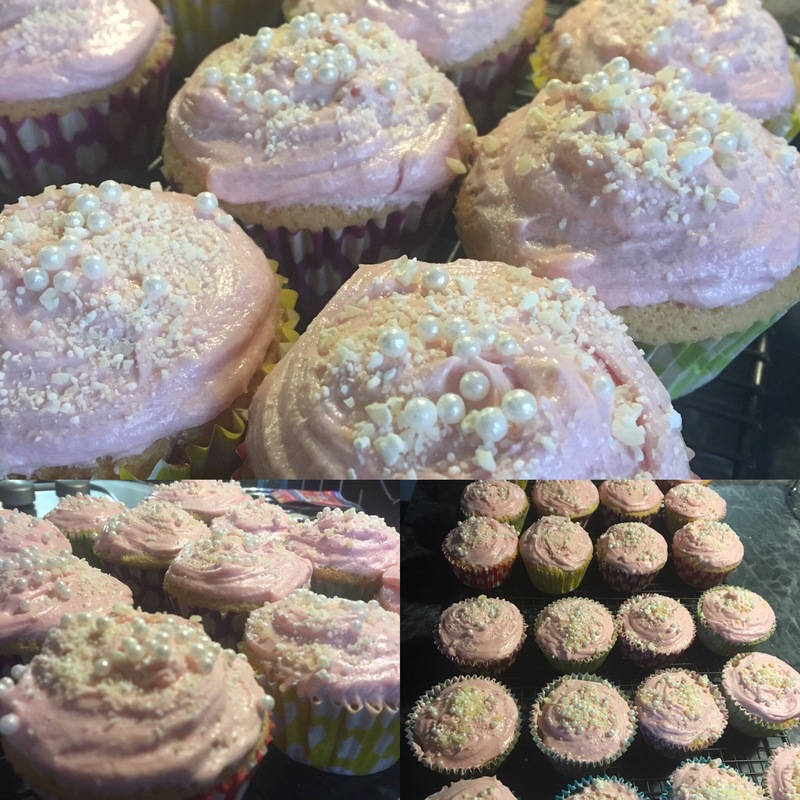 I had no plans on leaving the house today, so thought why not make some delicious cupcakes! I went with a basic recipe which I will share below. To start with preheat your oven to 180 oc, so that the oven is hot and ready to go once your mixture is made. 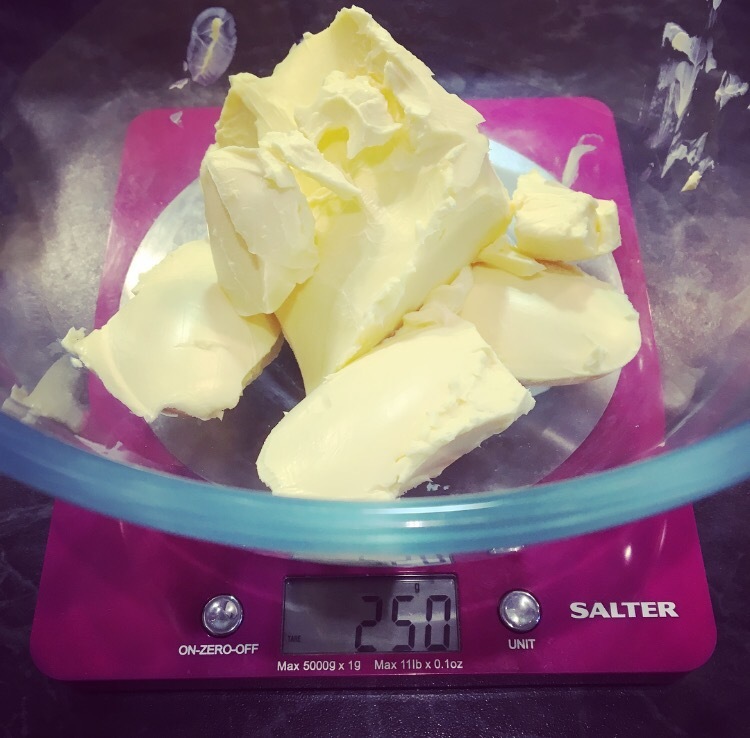 put 250g butter into a good size bowl. 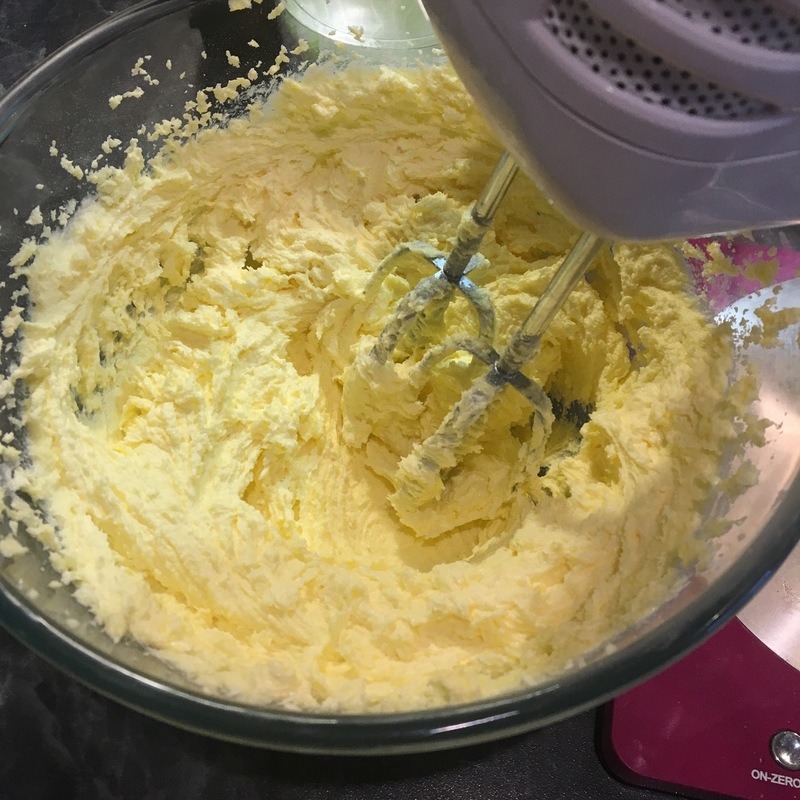 Then put 250g caster sugar in with the butter and mixed until smooth and creamy. 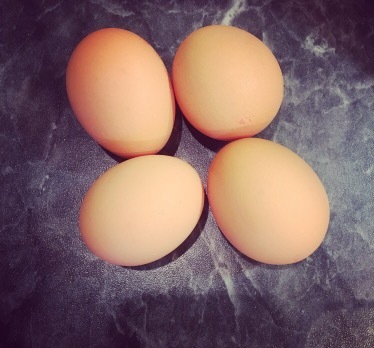 You will then need to get 4 eggs and add them one by one. 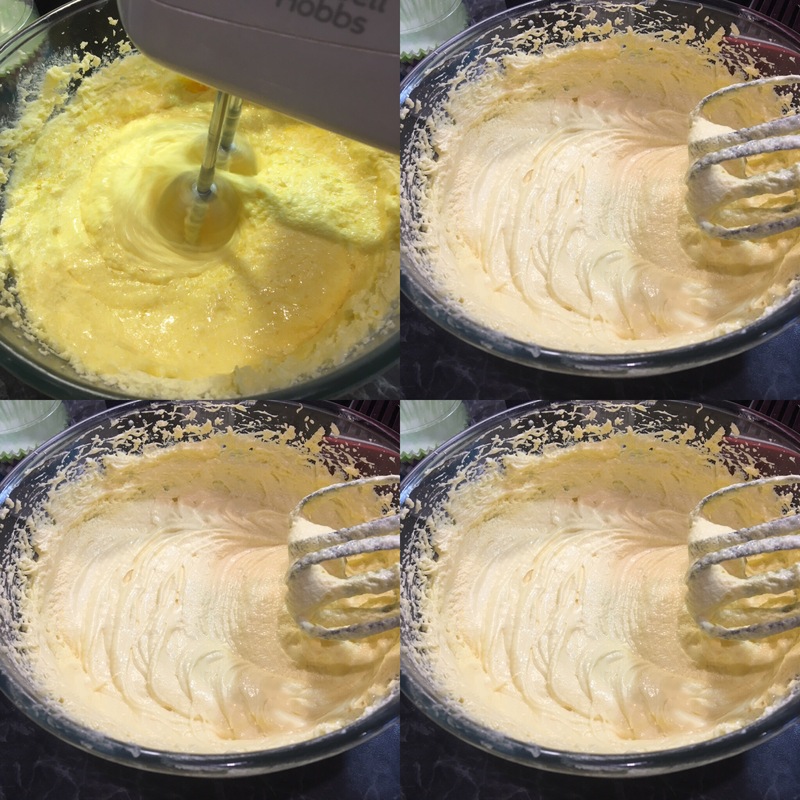 Make sure they are mixed in completely, you can beat the yolks first before adding to the mixture if you prefer. I just cracked them straight into the bowl. Once the mixture looks something like up above in the picture, then you are ready to add the flour. Sieve 250g flour into the bowl and mix. 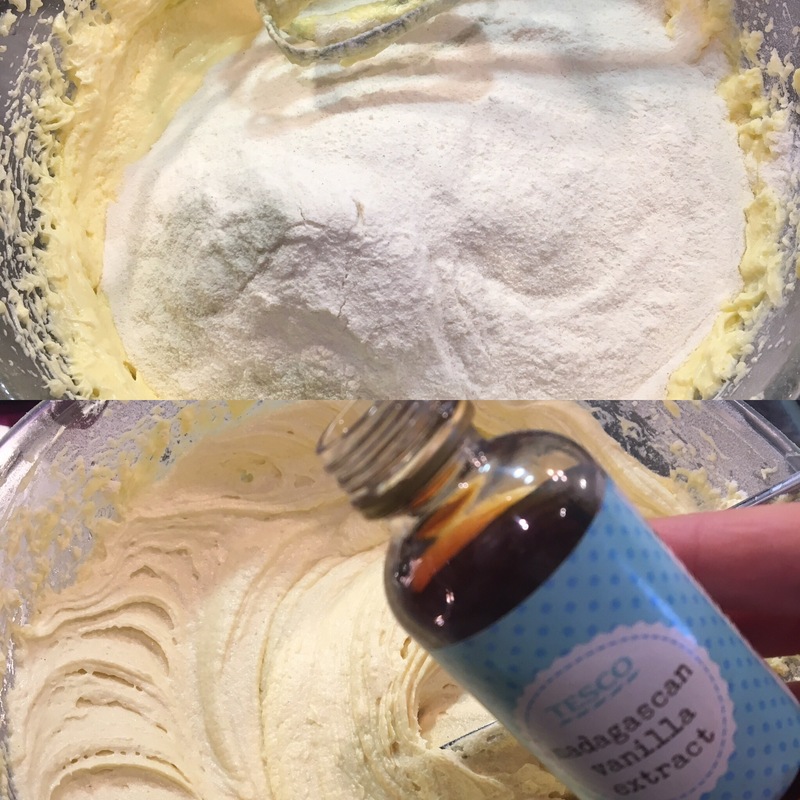 Add in 1-2 tsps vanilla extract. 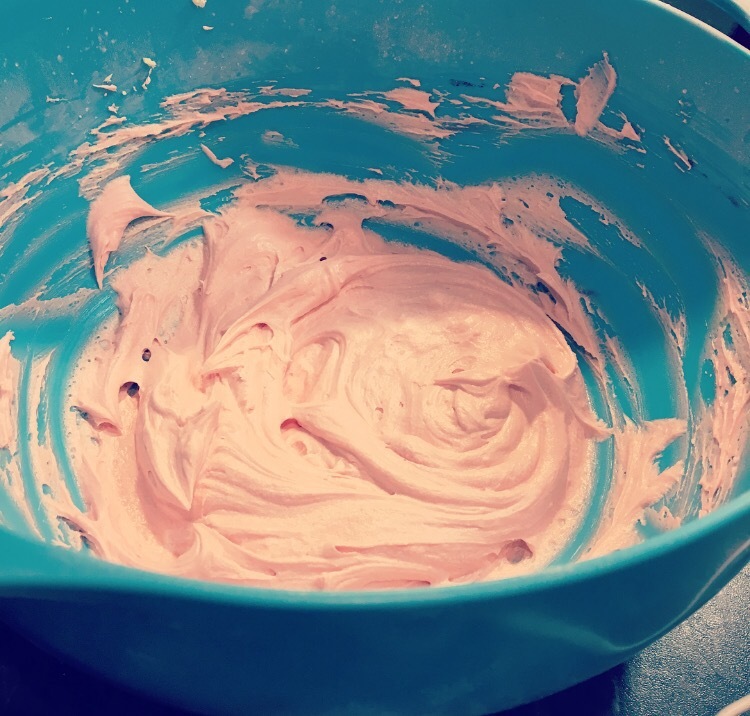 Your mixture is now ready to be transferred into cupcake cases. 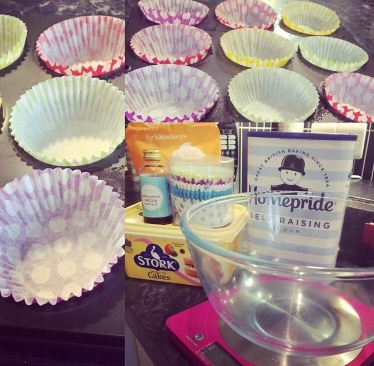 Once the cupcake cases are filled, then it’s time to put them in the oven to cook! Place in the oven for 15 minutes. When you think the cupcakes are ready, dip a cocktail stick or a metal skewer into the cake and pull it back out. 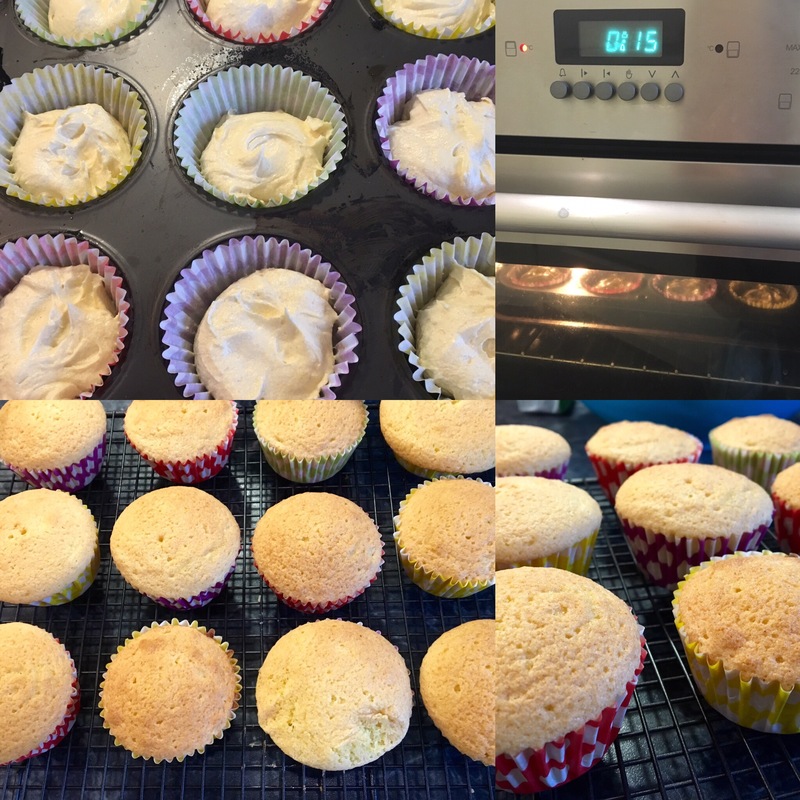 If the stick comes out the cake clear, then your cupcakes are cooked perfect and can be taken out the tray to cool. 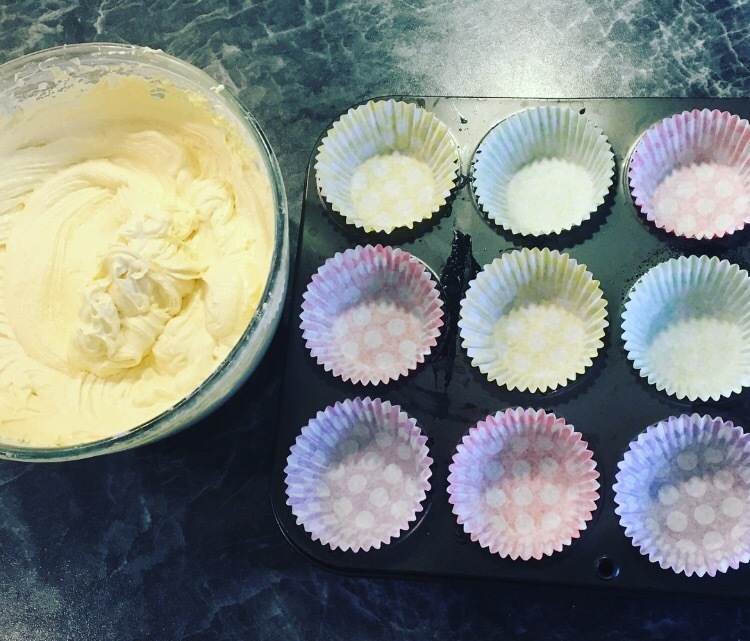 If the stick comes back out with mixture on, then pop the cupcakes back into the oven for a few minutes longer. 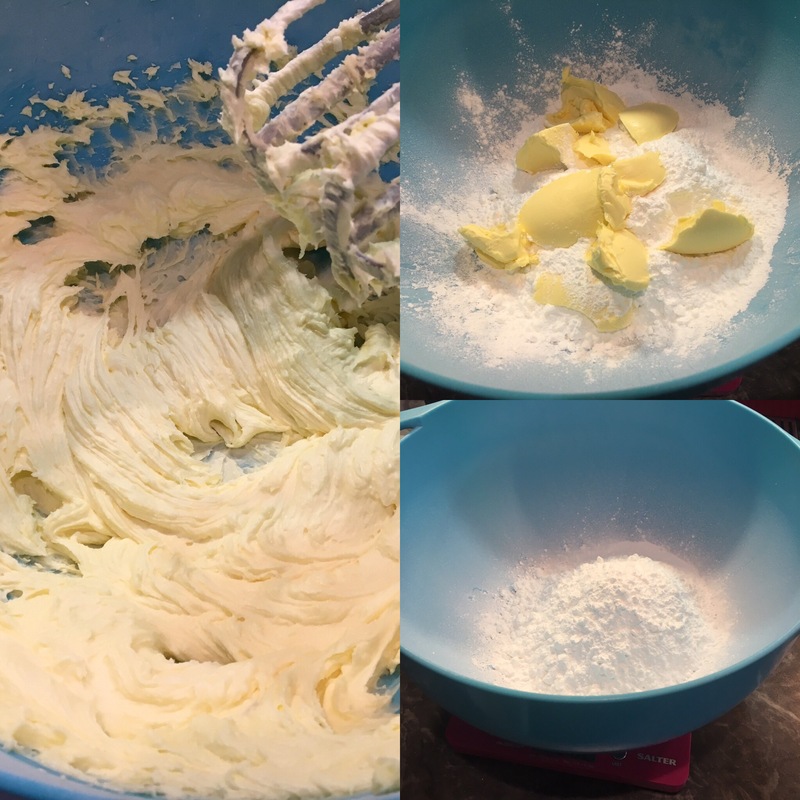 Once your cupcakes have cooled down, you can start to make your butter icing. 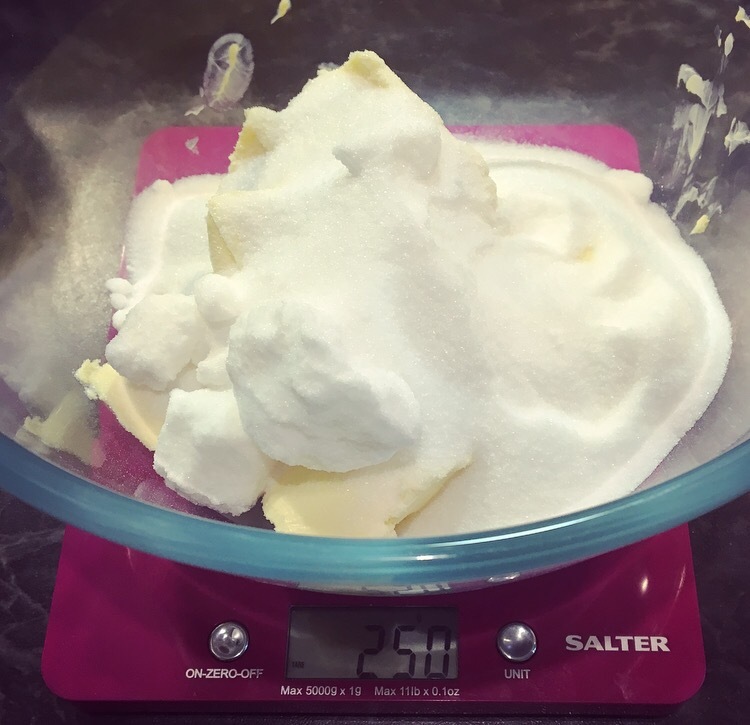 Place the 140g butter and 280g Icing sugar into a clean bowl and mix. Be careful when mixing as the icing sugar will go everywhere!! You may want to put a teatowel around the bowl, so you don’t decorate your kitchen at the same time. Add a dew drops of milk to help loosen the consistency and a few drops of food colouring. I have chosen pink, but you can choose whichever colour you like. Then you can start decorating your cupcakes. I went for popping candy and pearl balls. So delicious and look great! Let me know if you decide to make these and how you decorate yours?